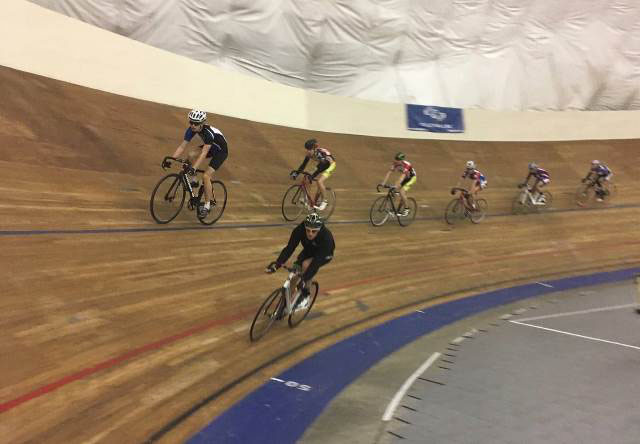 A year after the Saskatchewan Cycling Association (SCA) held their very first training camp in Burnaby, BC, the provincial organization returned over the holidays for another camp. Based at the Burnaby Velodrome and the Fortius Sport & Health Centre, the camp ran from December 26th to January 2nd, and was led by SCA Head Coach Houshang Amiri. 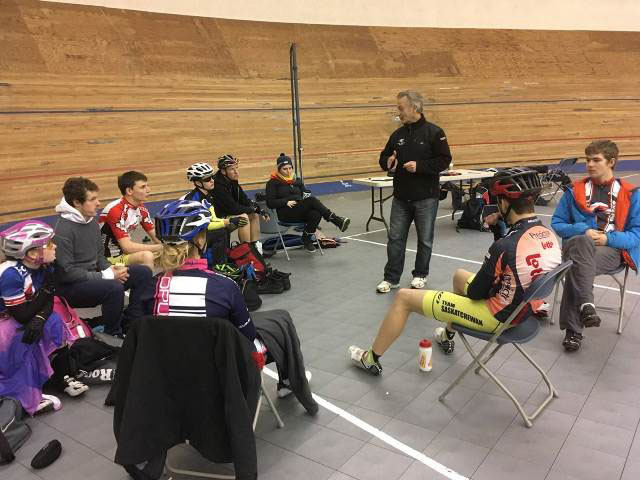 "Our first SCA track camp was a year ago, where we introduced track cycling to the SCA and the provincial team, and also the coaches who took the opportunity to learn about the sport," said Amiri. "Riders for the first time rode the 47-degree banked velodrome, and we spent the entire camp working on learn to ride techniques and basic skill development." Since that first camp the SCA provided many opportunities throughout 2016 to grow and develop the talented young cyclists within the province, providing a number of in-province training camps in different cities as well as racing opportunities out-of-province. SCA provided coach development mentorship opportunities to interested coach(s), and provided financial support to attend the training camps and races, so they could learn about the elite level of coaching, and benefit from the experience of shadowing the provincial team head coach. "It was a very encouraging year for me, as our development and high performance team riders attended all of the training camps and races, and they took their challenges seriously and worked hard to represent their province in the races," said Amiri. "It was amazing to see such work ethic among the young." 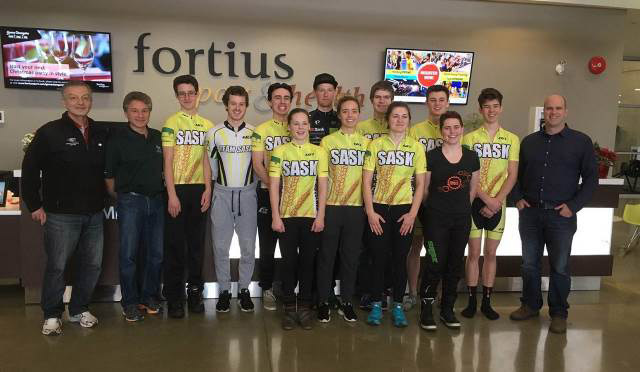 The main focus from this year's camp was to prepare the riders by honing their track racing skills, and set the foundation for Saskatchewan to be represented at the Junior and Elite Track Nationals, and other track races in Canada and the USA. "We spent most of our track training time learning about racing techniques and race tactics," said Amiri. Based at Fortius, the riders settled into a daily routine during the seven-day camp. After meeting at 7:30 am for breakfast, there was an athletes, staff/coach meeting and training presentation at 8:45 am, training rides from 10:00 am to 11:30 am, lunch at 12:00 noon, track time from 2 pm to 6pm followed by dinner at 7:30pm. All athletes underwent testing and evaluation during the camp with some having an aerodynamic set up and evaluation. The tests consisted of a Sub Maximal Aerobic Power Step test and lactate profiling followed by a 20 minute MLSS test. Each rider's lactate was monitored during a 20 minutes' TT effort. "Using the data from those two tests and by integrating the power data each athlete provided, we were able to identify a detailed training target and training zones," said Amiri. The athletes felt the camp was very beneficial. "Houshang provided us with an excellent week of training on and off the track. I really enjoyed being able to train with all the other Saskatchewan athletes and it was great to get to know some of the older athletes better, learn from them and bond as a team," said Micaiah Besler. "Having the opportunity to have a week focusing on training with my teammates was incredibly valuable. Houshang does such a great job of facilitating team building, challenging us, working us hard while having lots of fun at the same time. I really value the opportunity to learn from Houshang's knowledge, experience as well as his work ethic and character." Andre Gagnon learned new skills: "In receiving expert instruction, I learned how to be safer on the track when shoulder checking and joining a group. I gained insight into my abilities through testing that included lactate vs power output, and heart rate vs power output. I now have more tools to improve my training, and that will help me to become the best cyclist I can be." "This training camp was a great opportunity, providing the athletes with invaluable information and experiences, both on and off the bike," said Caleb Bender. "These experiences will help us to achieve our goals, both short and long term. Houshang brought great expertise to the camp." "I was enjoying the track for the first time and it was great to work with Houshang. He is so knowledgeable with lots of experiences on and outside the track. We were a small team, but we worked as a big one," said Jure Rupnik. "This camp ended a successful year and was part of 2016 SCA Development and Performance Plan approved by the SCA HP committee and executive in early 2016," added Amiri. "On behalf of the Pacific Cycling Centre, we would like to thank the Saskatchewan Cycling Association and its management for providing this development opportunity and financial support to run this camp," concluded Amiri.